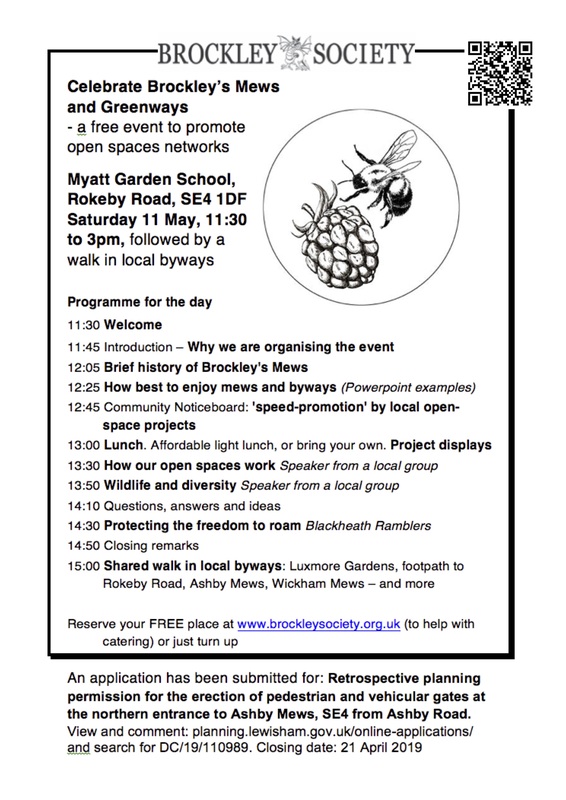 Join us at a free event to celebrate Brockley’s unique mews and greenways, and promote open spaces networks. The event will be followed by a guided walk through local byways. See flyer below for the schedule of activities for the day.